February may be a short month, but it comes with a big impact. Engineering Week 2019 is scheduled to run February 17th through the 23rd. During this time, engineers and educators work together to highlight the opportunities available within the world of engineering. This is a compelling week for youth mentoring and sharing the exciting aspects of a career in engineering. For decades the foundation of enticing engineers was based solely in math and science. While these are definitely important aspects of the field, technology, creative problem solving, and industry collaboration have generated many more exciting avenues for this career path. The day of February 21st is dedicated specifically to “Introduce a Girl to Engineering Day”. This platform enables young women to be introduced to options available and potentially find passions within themselves for pursuing a career in engineering. Individuals can sign up to be a Girl Day Mentor and potentially inspire a engineer-in-training. The Children’s Museum of Indianapolis is hosting two engineering-based events during the week. On Sunday February 17th, the STEMLab is open for several thirty-minute sessions on how science fiction has inspired real technology and the use of 3D printers. These sessions are included with admission. 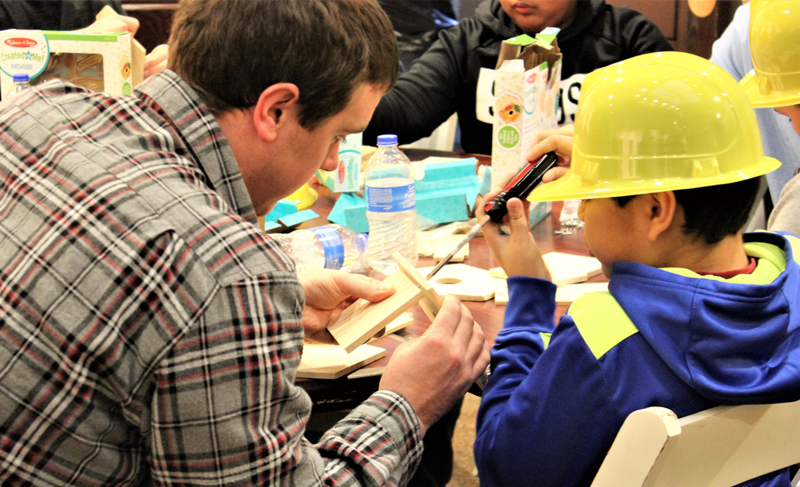 On Thursday February 21st, an in-depth session will practice engineering processes, problem solving, and the use of creative design solutions applied to real world problems. This Homeschool Engineering course requires a ticket in addition to general admission and is recommended for ages 6-10. Sponsored by the National Society of Professional Engineers (NSPE), National Engineers Week features resources for individuals to get involved. From spending five minutes in a quick informative conversation to volunteering as a mentor, a wide array of options can fit any schedule. The Discover E website hosts links to engineering activities, classroom visit planning guides, and working with groups. Click below to find out more about joining this Engineering Week 2019: https://www.discovere.org/our-programs/engineers-week/idea-starters.